Watch Eligio Peña's presentation "Visiting a Cemetery and Uploading Photos to Find a Grave". Learn the basics of things you need to know before visiting a cemetery for research or to photograph its tombstones. Also, learn about Find a Grave and how to upload images to it to help make them available to everyone. You will also be amazed at how great of a tool it is and the kind of genealogical information you can find. Below is the outline of the presentation and what to expect form each one. Intro Dialogue - Just a quick introduction to the video presentation. Find A Grave - Mr. Peña provided attendees with a description of what Find a Grave is and how he uses it to preserve cemetery headstones and also genealogical information. Photographing Headstones - Mr. Peña provided how he does it to photograph thus offering us some great tips to use and keep in mind. Cemetery Cleaning and Probing for Headstones - He briefly spoke about the tools that he uses to clean cemeteries and also how he does it and of the best find he has ever had. Maps - He then spoke about how he uses maps to find and get to cemeteries and provided us with a tool that he uses personally to do this. Texas Historical Commission - In this section he provided us with information on how to find cemeteries for any Texas town using the Texas Historical Commission. Uploading Names and Photos - In this section Mr. Peña showed us how to upload names and photo to find a grave. We learned to add one name and if needed to, how to add hundreds of names very easily. Family Search - He finally, spoke of how he uses FamilySearch to find extra genealogical information to headstones that he uploads to find a grave. Questions and Answers - In this final section he answered questions form the audience. Overall I enjoyed listening and recording this presentation and I know that our members will learn something new to them or at least pick up great ideas for their own research. 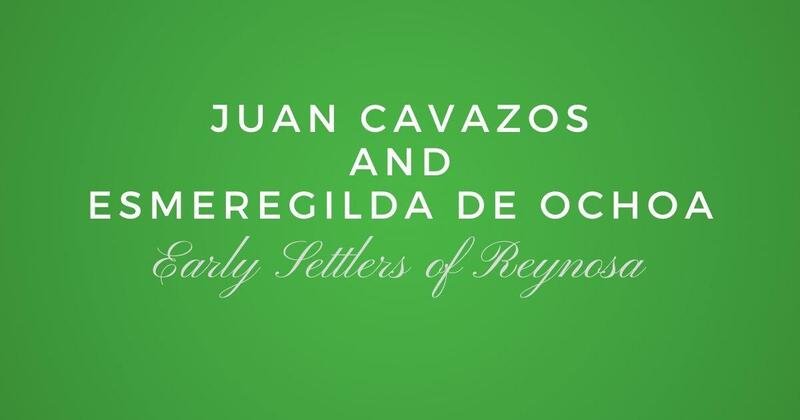 If you are a member of Las Villas del Norte just click on the image below to be taken to the page where you can enroll to watch this presentation (if you are taken to the become a member page when you click enroll it only means that you need to log in first). Join Las Villas del Norte today and you can watch this presentation online today, plus many more. 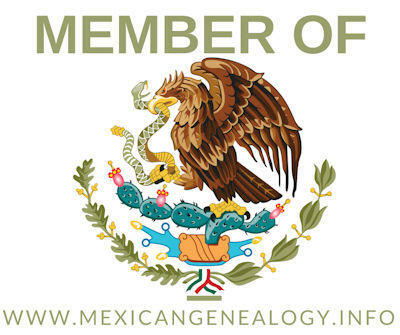 You will also get our printed book "Las Villas del Norte, The 1757 Censuses of Laredo, Dolores, Revilla, Mier, Camargo, and Reynosa", plus the e-versions of our Journals, including a ton of other great resources to help you in your genealogy.